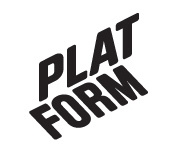 May 2017 – Platform r.f. TAIKE Arts Promotion Centre Finland, Artists association MUU, Platform, Vita Kuben and Konstfrämjandet Västerbotten co-operate in arranging two screening- and networking events on both sides of Kvarken, in Vaasa, Finland and Umeå, Sweden. The first of the events takes place on the 5th of June in Umeå, in Konstfrämjandet Västerbotten at 16.00, beginning with a videoscreening and artist talk which are part of the Performance Voyage 7 tour. Artists gather to discuss themes of performance and activism central to Performance Voyage 7, and regional artist Marika Räty from TAIKE presents the project LADAF, Live Art Development Agency Finland. The tour continues the next day in Vaasa, Finland, where a screening and artist talk is arranged in Platform studio at 18.00 on the 6th of June.